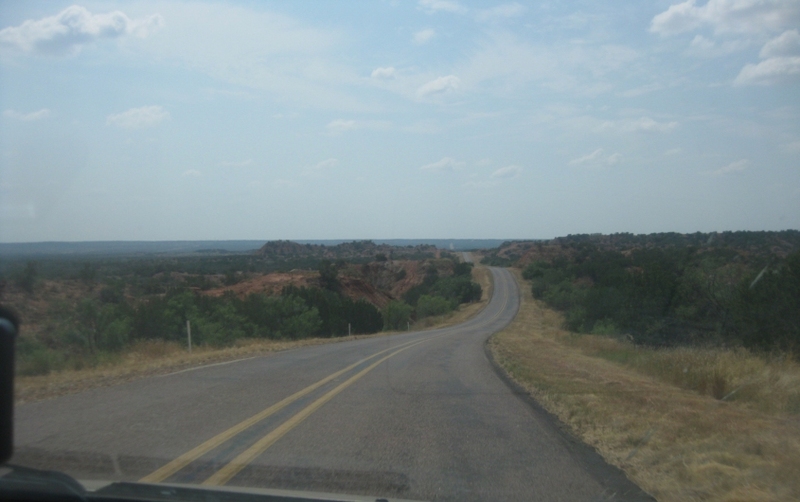 We left off in huge Texas, and this is in - well, Texas. It could be FM 1919 still, or maybe FM 267. 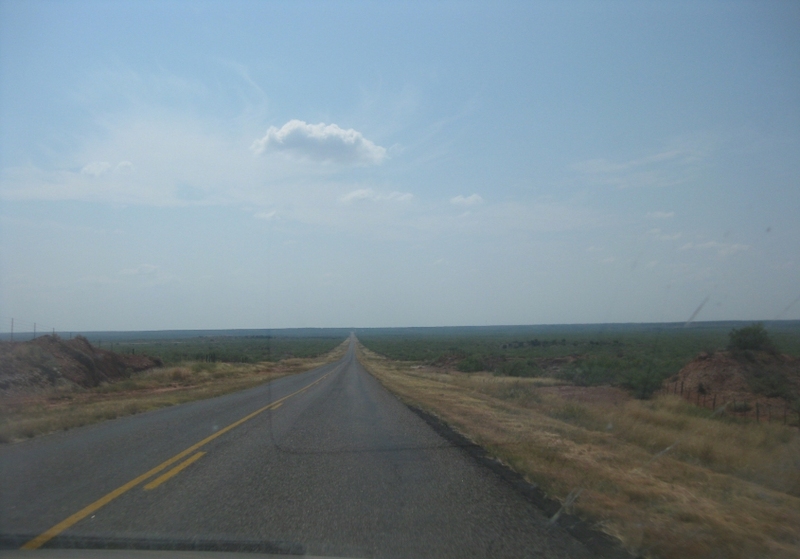 US 82/TX 114 west of Benjamin, TX, approaching the King County line. Entering King County. This is reputed to be America's most right-wing county: Tea Party favorite Mitt Romney won 96% of the vote here in 2012; President Obama got only 5 votes. However, I'm skeptical of these official numbers, because a reporter who visited King County was able to readily find an Obama supporter. 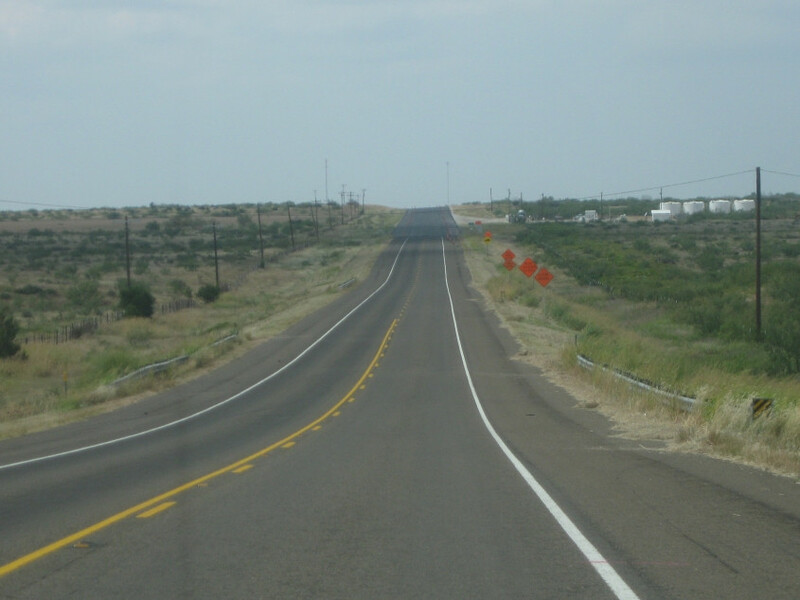 US 82/TX 114 in King County. 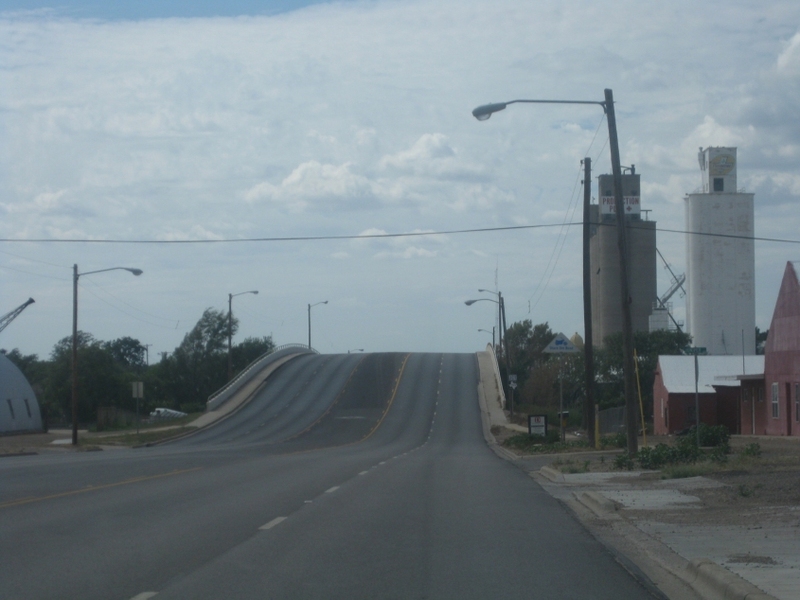 US 82 meets US 83 near the county seat of Guthrie. 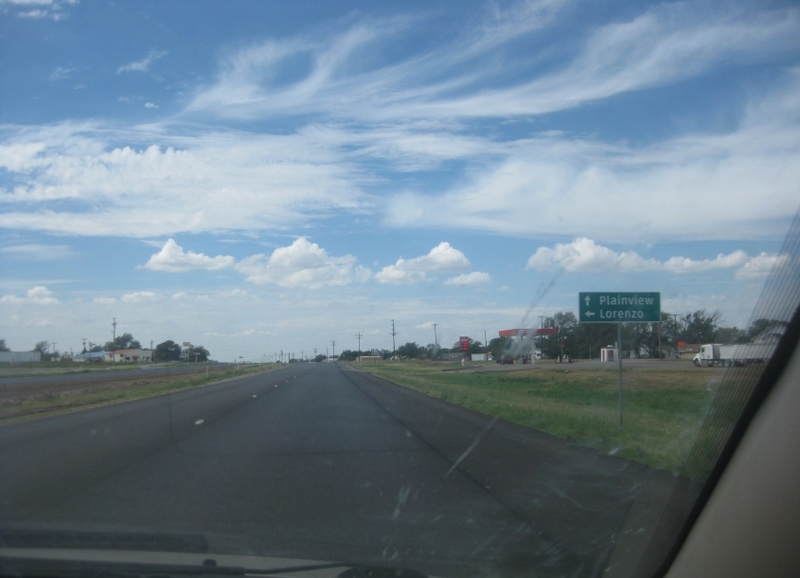 US 82 is a divided highway here and actually has this freeway-style interchange to US 83. This despite the fact that the whole county has a population of only 286 in the 2010 census. Just goes to show what party controls the highway funds. 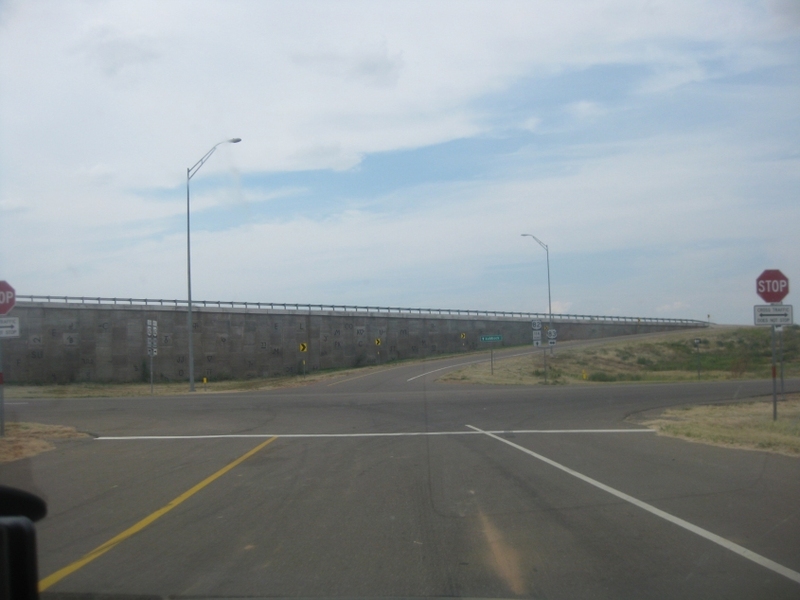 We're on the ramp to US 83; US 82 itself is on the wall on the left. A blow-up of the wall that carries US 82. 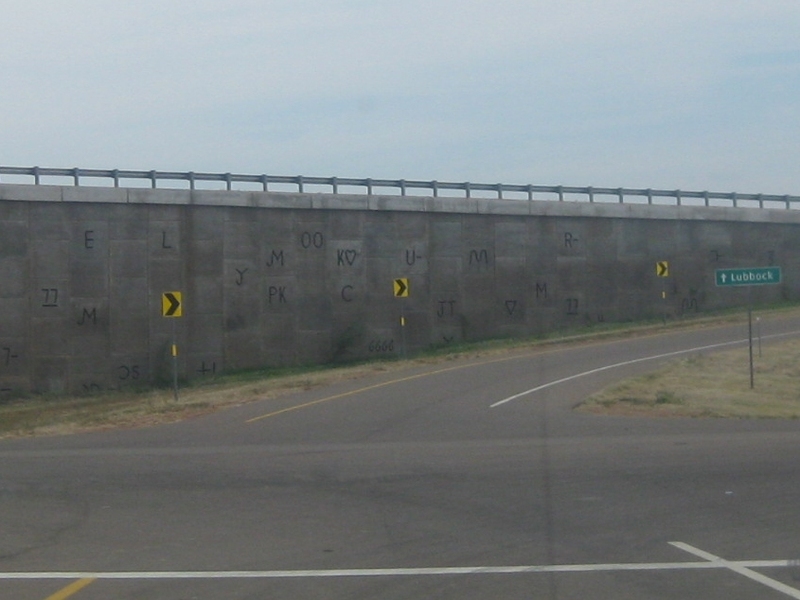 The wall features numerous cattle brands. 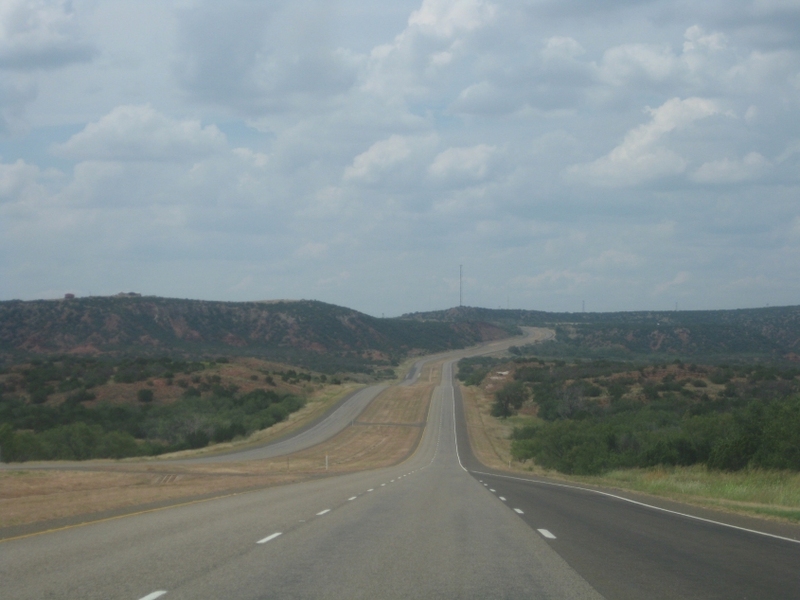 The ramp from US 83 to US 82 west is straight ahead. 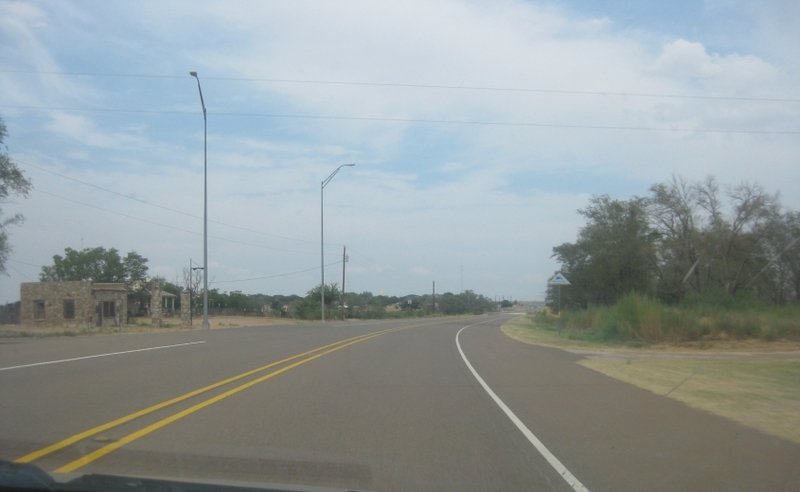 US 83 approaching the unincorporated county seat of Guthrie. The tiny stone building at left looks interesting. 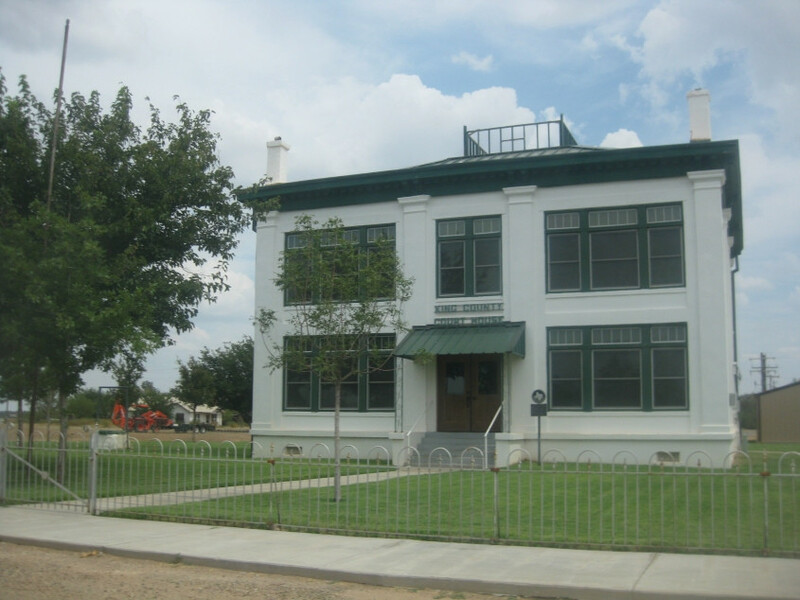 Despite the Tea Party's claims to support private property, Guthrie is a company town. Most residents live in homes owned by large ranching operations. The King County Courthouse. I brang some Occupy magic to this Republican stronghold by Occupying the front of the courthouse with the Occupy O. See, even King County has had some Occupy activity! 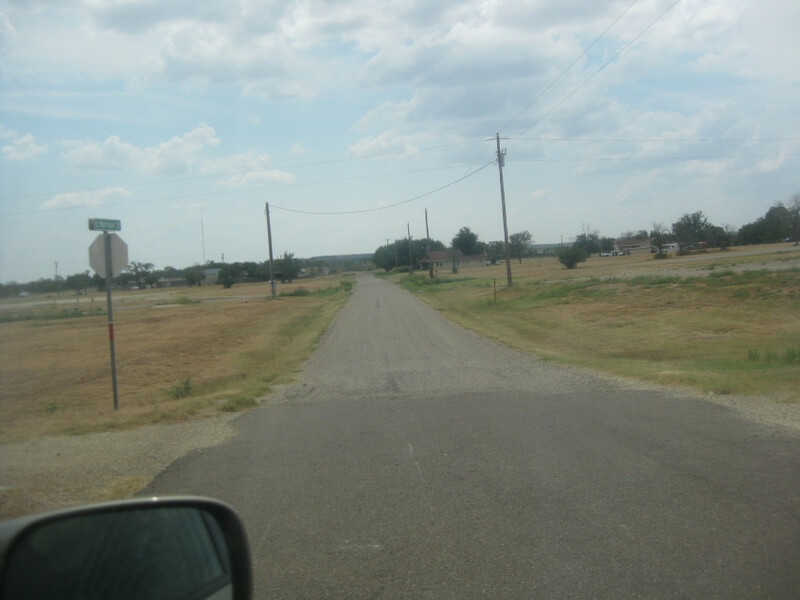 West on 6th in Guthrie - an old stretch of US 82/TX 114. This road used to continue past where the barrier up ahead is. Incidentally, Guthrie is like a ghost town. I didn't see any other people or moving vehicles when I was there. Not one. Yet a reporter found an Obama voter - which leads me to believe that Republican support here is much lower than official results show. 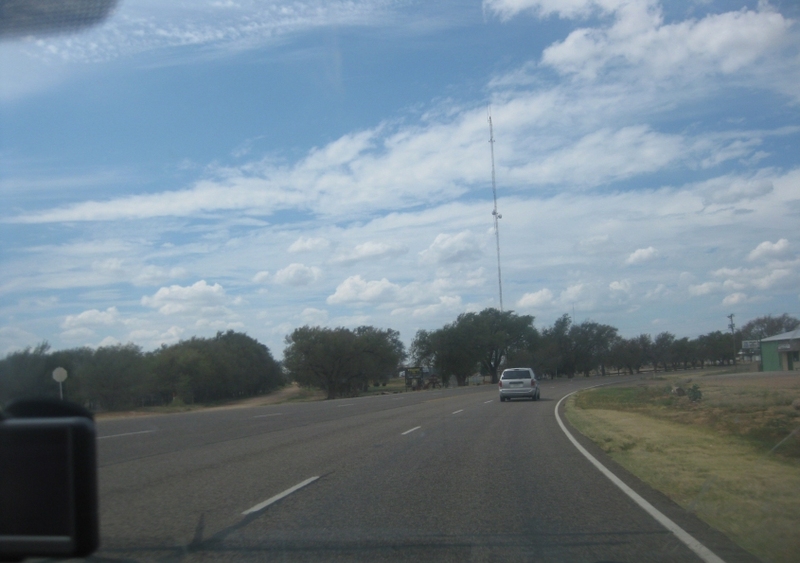 South on US 83 again, approaching US 82. 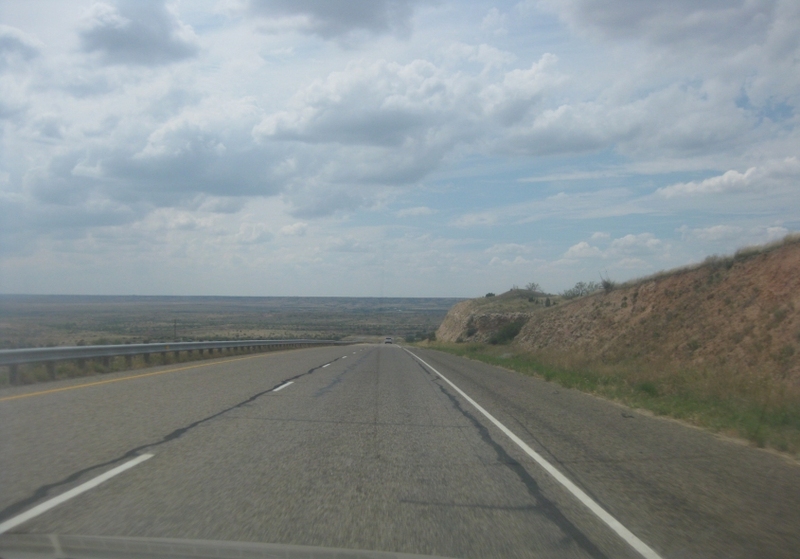 US 82 goes over US 83 and runs atop the wall. The ramp to US 82 is just before that. 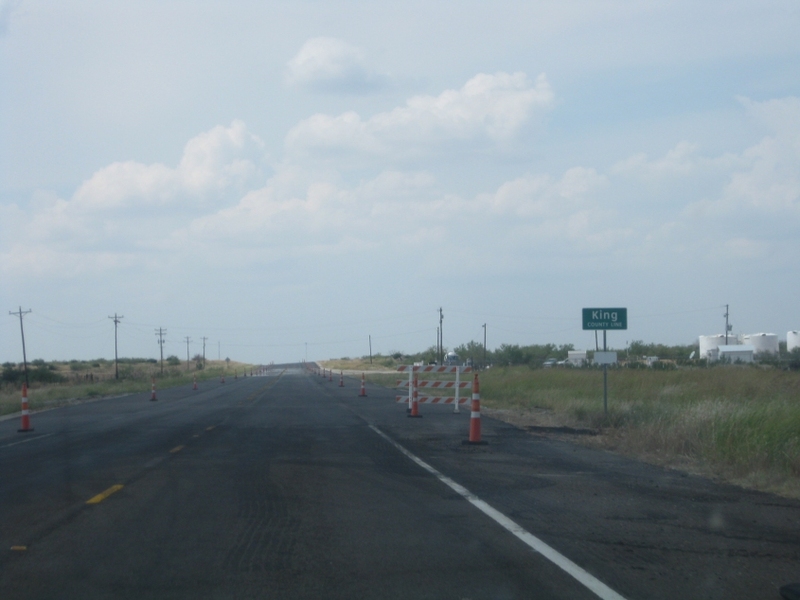 US 82 and TX 114 continue to be one and the same near Dickens. Amazing mountains along US 82 near Dickens. This has to be US 82 between Dickens and Crosbyton. 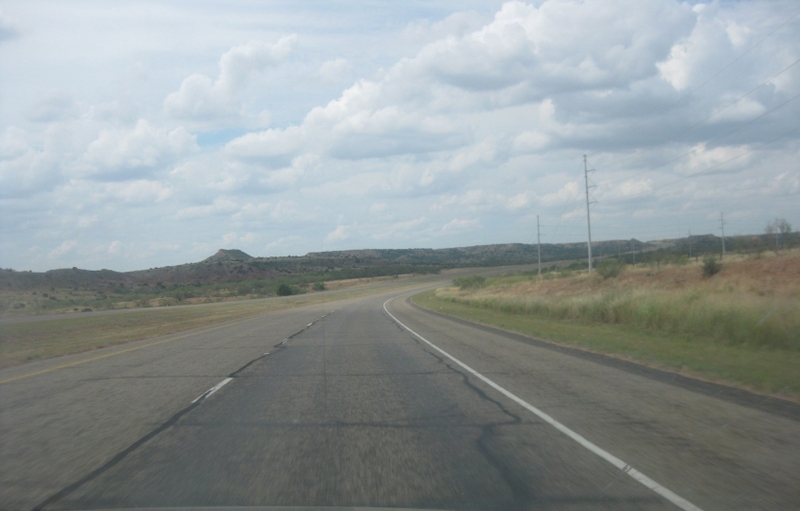 US 82 heading into Crosbyton. Birch Street branches off on the left. 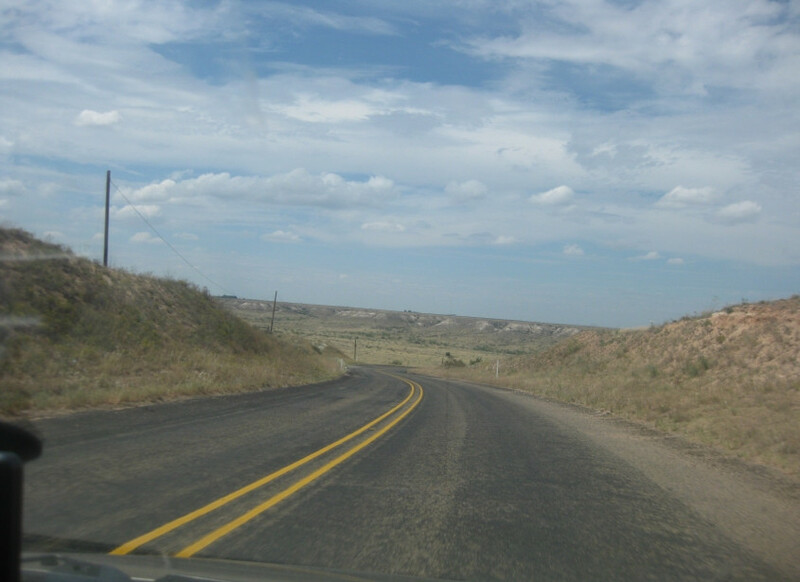 FM 651 north of Crosbyton. 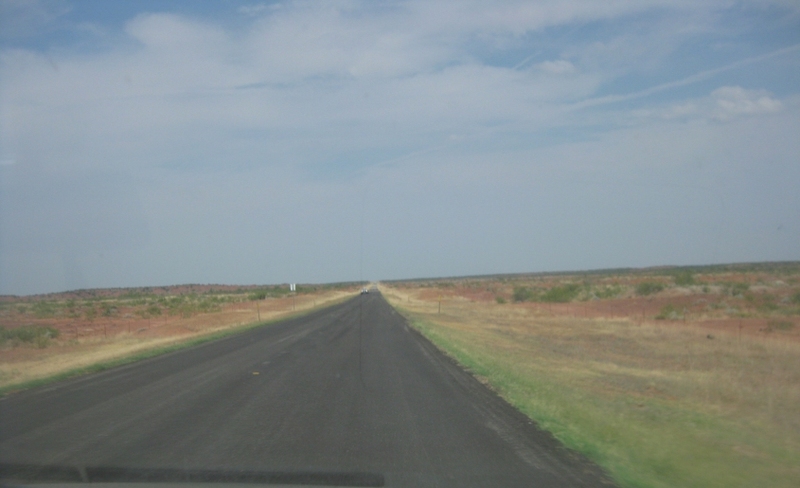 The unpaved road ahead is CR 201. I'd say this is FM 651 again. 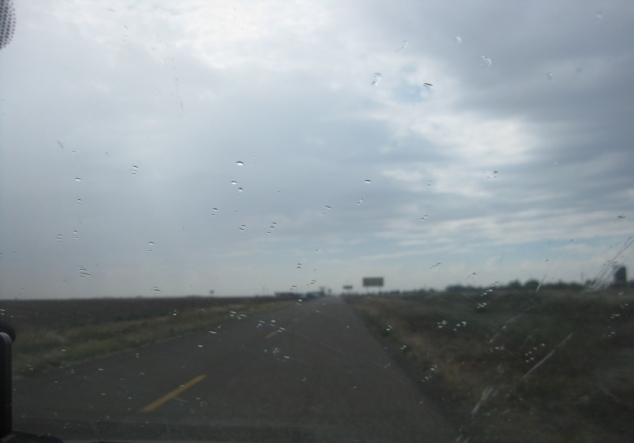 We arrive at US 62/70 near Floydada. 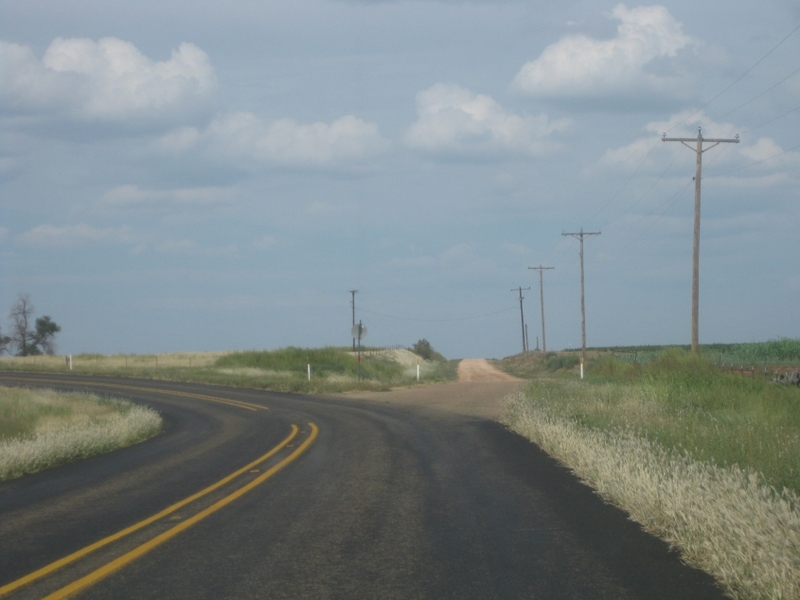 FM 651 becomes the unpaved road straight ahead. 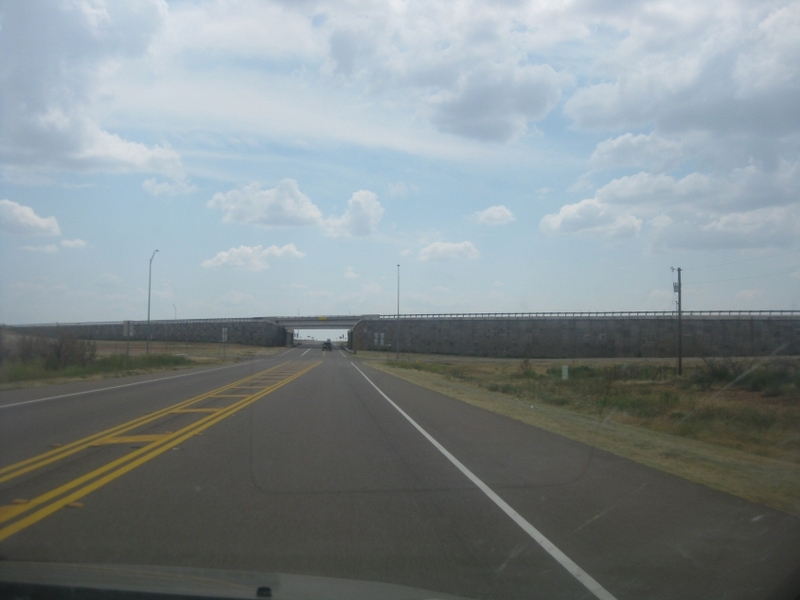 North on US 70 (2nd Street) in Floydada. 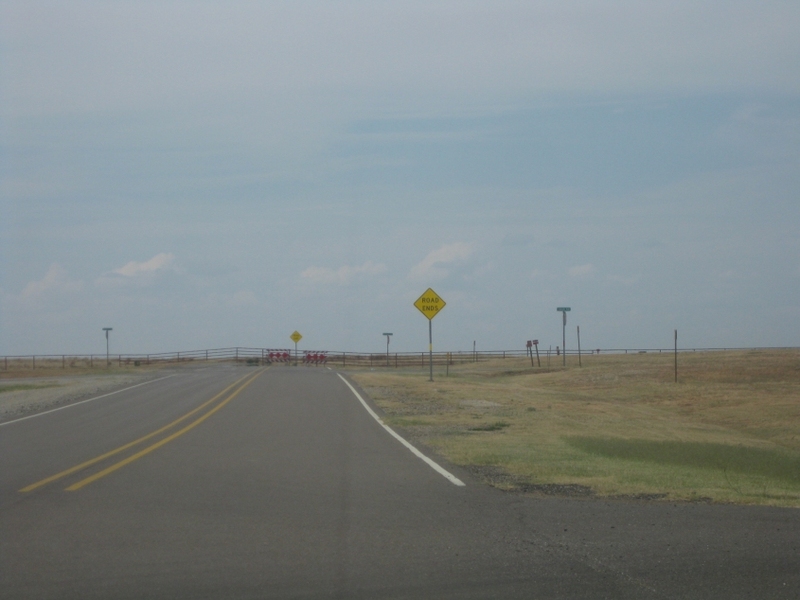 US 70 in Lockney. 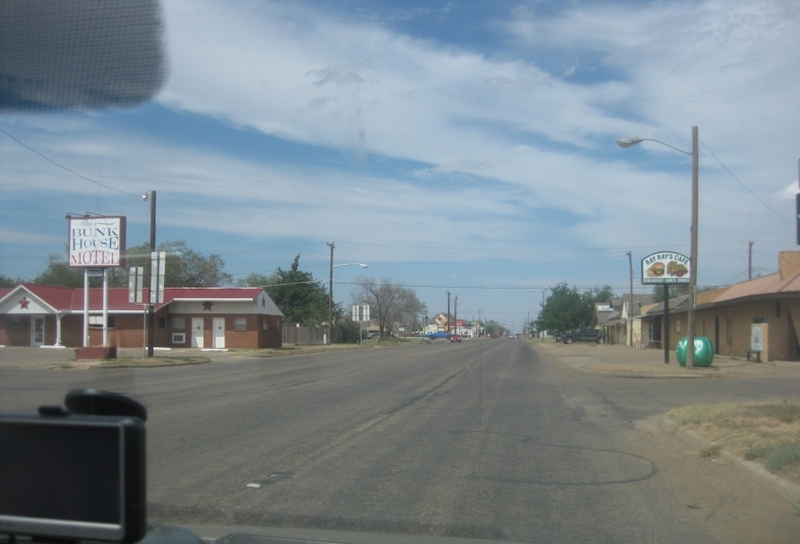 Lockney is the town where the school system got sued because it required every student in grades 6 through 12 to take a drug test. The court quickly dropped the hammer on the school board. 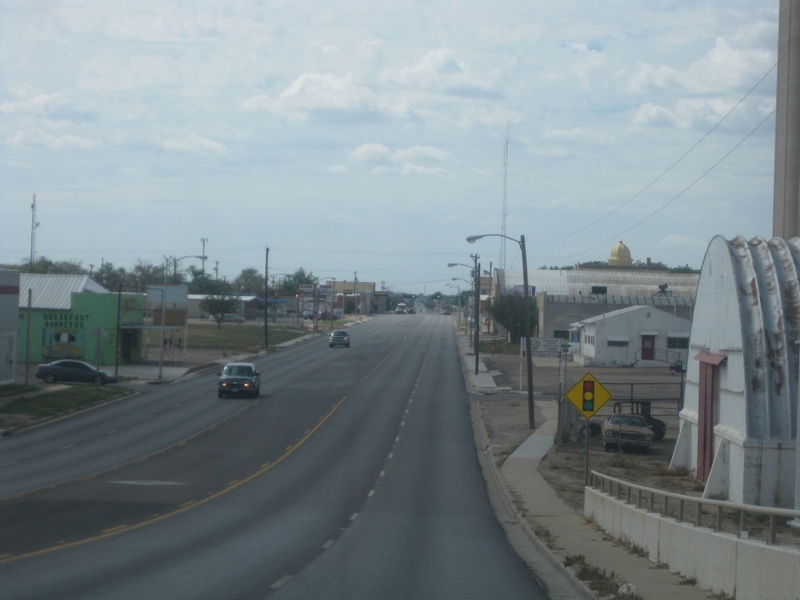 US 70 uses 5th Street in Plainview. We're about to go over a viaduct over a rail line. Ohhh! 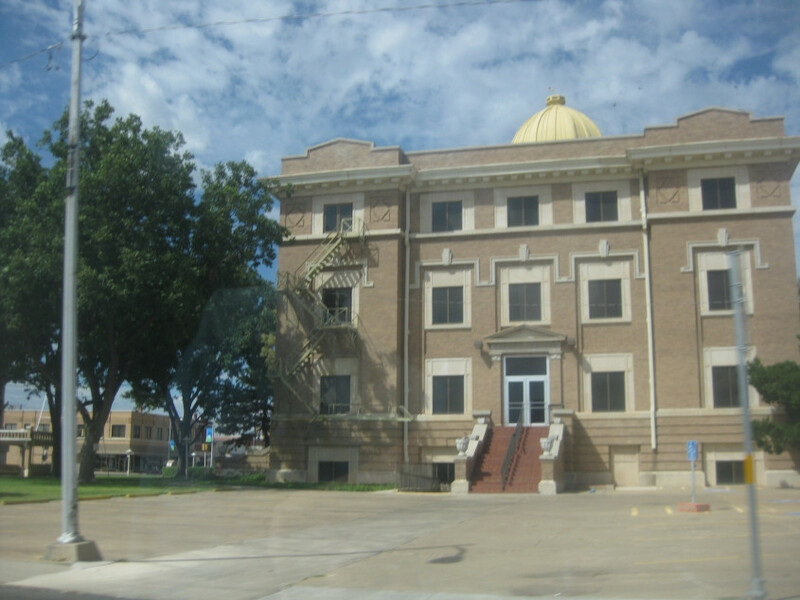 I didn't press the Occupy O into service here, but this is the Hale County Courthouse in Plainview. RAIN RUINED THE WHOLE TRIP!!! 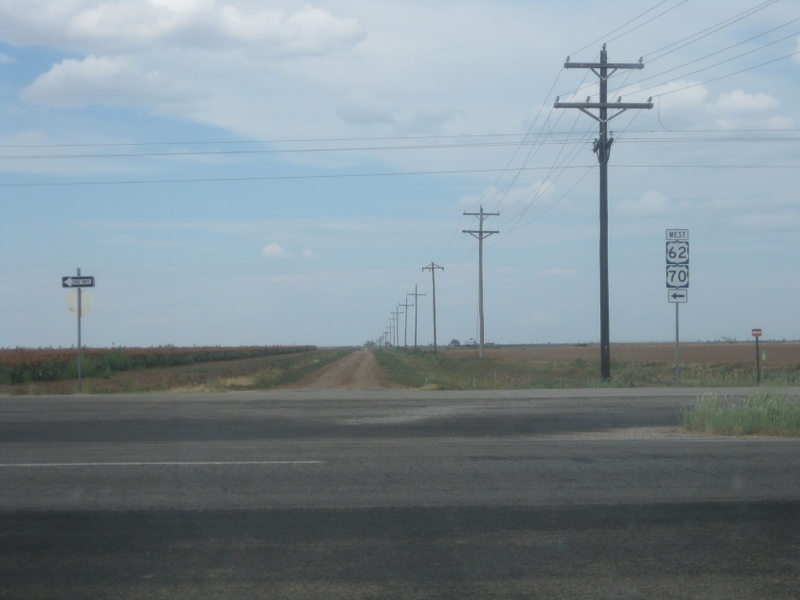 I think this is one of the frontage roads for I-40 west of Amarillo.